There’s nothing nicer than seeing someone you know win. Particularly someone who spends most of the season working his socks off for his team mates. We saw Amael’s victory in the company of his wife and children which made it even more special. His two young boys were thrilled, going onto the podium with their father to receive the trophy. A moment they’ll always treasure, which was captured by the mother of another professional rider who kindly gave me the picture. A fellow VeloVoice (Thanks Chris) gave it the Andy Warhol treatment, I had it printed and it now hangs in the Moinard’s hallway. A constant reminder of a special moment, one we were fortunate to share. 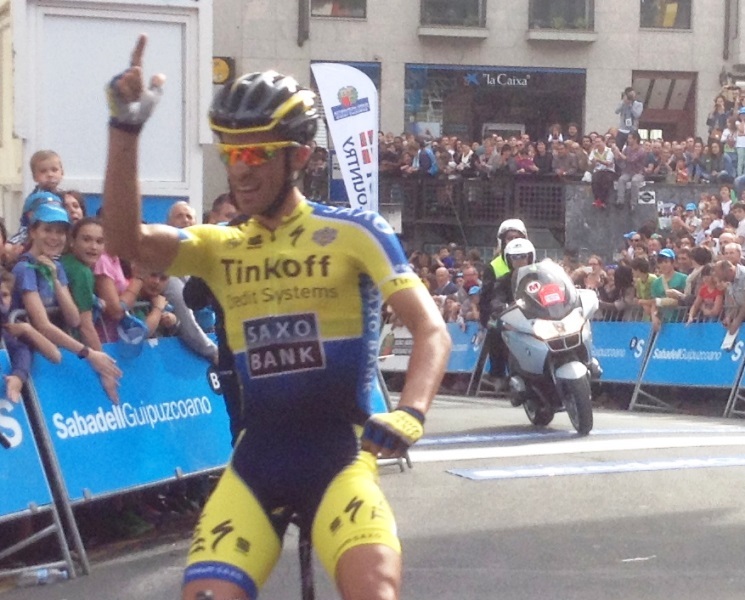 A stunning win on stage one by Bertie in truth secured him the overall. He looked to be back to his best, heralding the prospect of a thrilling summer of racing. 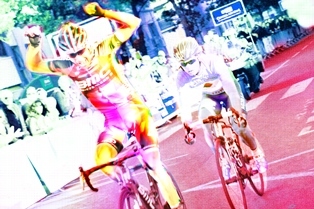 I edited Greig Leach’s narrative accompanying his marvellous record of last year’s Tour de France. It wasn’t the Tour we were all anticipating but it was none the less thrilling. The crowds for the UK Grand Depart in Yorkshire were unprecedented – wonderful to see, and experience. 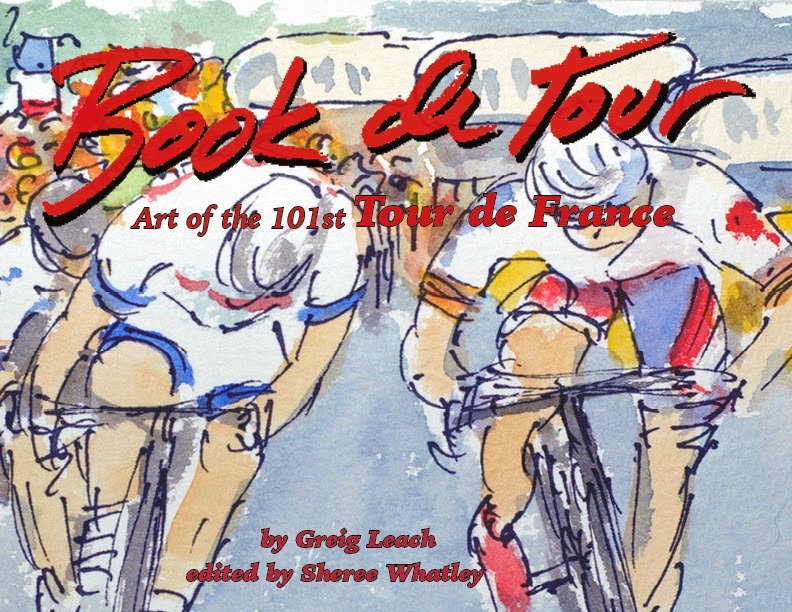 The race had more twists than a barleycorn, an emphatic victor and each stage’s tales were beautifully captured by Greig in bright clear colours which convey a real sense of movement, occasion and emotion. I’m hoping this first successful foray into printed medium will be just the start of a new venture for Greig. His paintings deserve to be more widely shared. 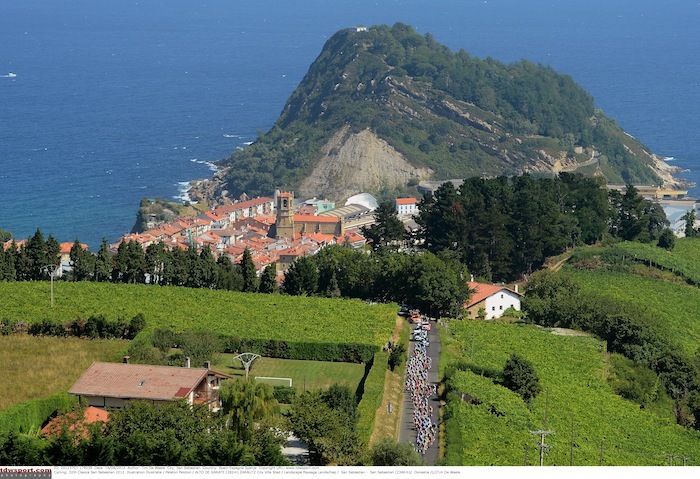 We managed three visits by dint of our trip along the northern coastline of Spain to last year’s World Championship in Ponferrada. We’re slowly exploring more and more of the region on two wheels and refining our list of must-visit hotels, restaurants and bars. It’s a region which never fails to delight us and we’d move there in a nano second were it not for the weather. Once again we visited places we might never have gone to were it not for bike racing and our lives would be poorer because of it. 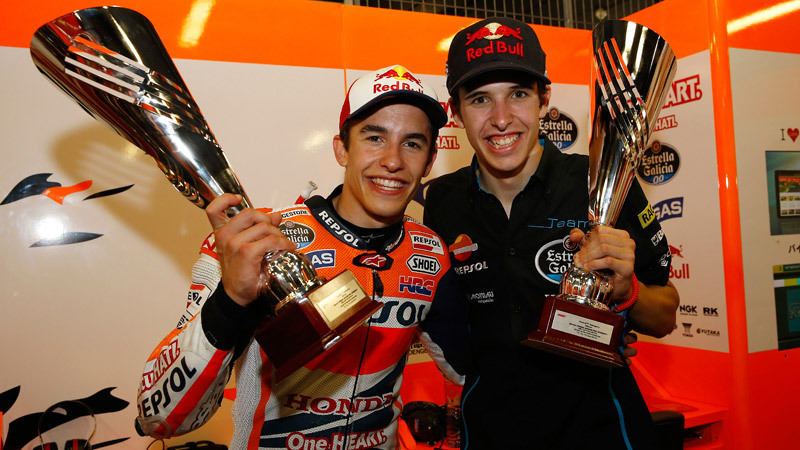 Having watched Marc Marquez take the world of MotoGP by storm, breaking records every which way since his rookie season in the 125cc class, it was great to see him (easily) retain his World Championship and for his younger brother Alex take the MotoGP3 title. Their parents must be so proud of them. 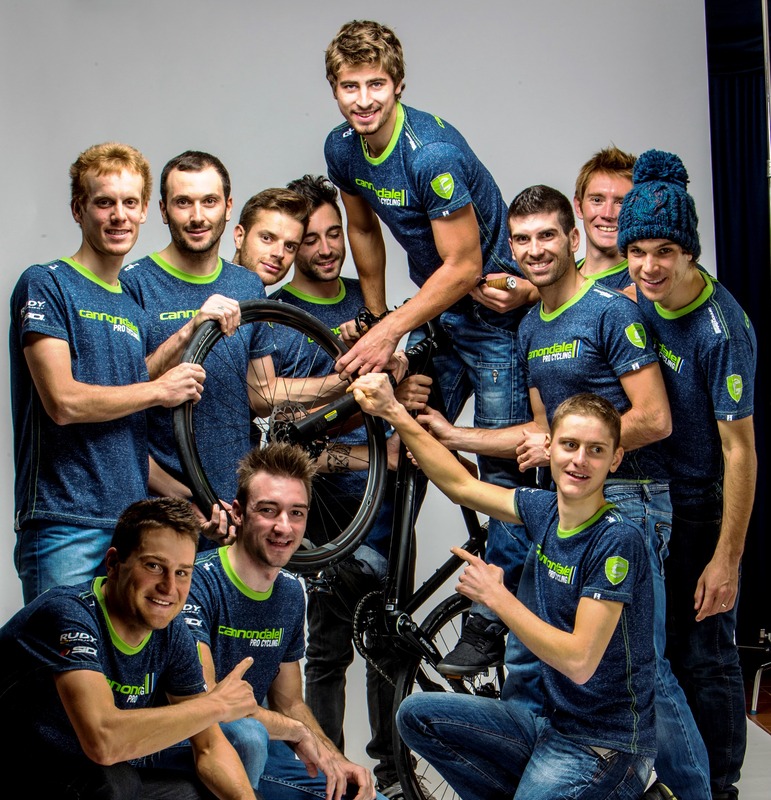 Our friends at G4 provided the casual wear for Cannondale and, because I lend them a hand wherever I can, I got to spend time at training camps and races with the boys. We were made to feel part of the extended Italian family and looked forward to meeting up with them at races. In return, I think the boys enjoyed my cakes which I believe have moved up a notch since moving from club events to WorldTour. While the name continues, the team’s backbone is no more. But we wish all the former staff and riders every success in their new teams and roles. Thank you for a memorable year, we’ll cherish it forever. You may have noticed that, one way or another, every highlight involved two wheels! I’m hoping 2015 continues in a similar vein. Thanks and a Happy New Year to you too – keep riding!